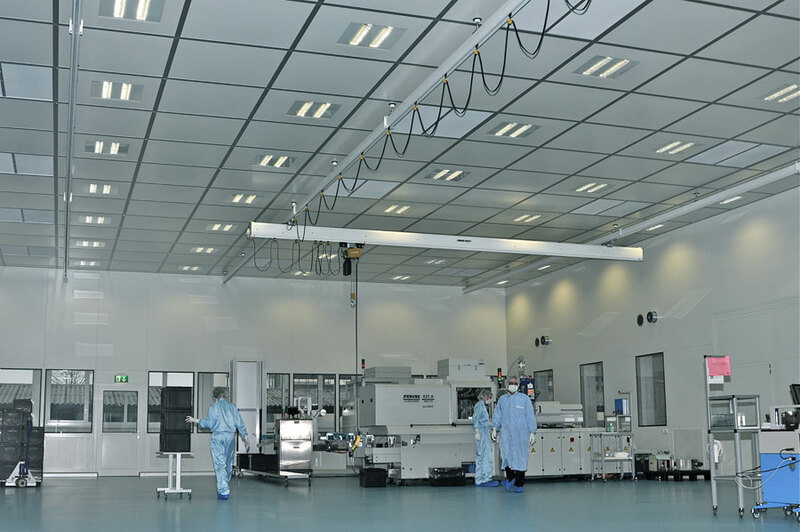 Cleanroom construction by its very nature is a specialist process. The materials and build process used for cleanroom construction need to be at the highest possible standards in order to ensure a quality product that can meet not only the clients needs but also the stringent cleanroom classification standards. We offer complete end-to-end cleanroom construction solutions to companies throughout Ireland, the United Kingdom and Europe and have a proven track record for world-class quality standards and project delivery according to our clients’ expectations. 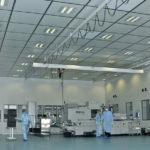 NGS Cleanroom Solutions offer a complete solution to our clients cleanroom construction requirements. We offer a turn-key service that covers everything from concept, to design and manufacture of the cleanroom, through to commissioning and validation. As one of the leading specialists in the construction of cleanrooms and controlled environments in the UK and Ireland, our staff manage the entire construction of our clean rooms. 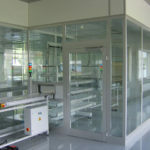 We have extensive expertise in the construction of modular cleanrooms, softwall cleanrooms and pharmaceutical grade cleanrooms as well as e-Liquid cleanrooms. In addition to cleanroom assembly, our in-house expertise for covers all areas of cleanroom construction including the installation of all services (HVAC & ducting, lighting & electrical, floor coverings & coving), and any internal fit-out or furnishings where required. Our team of installation experts and project managers are skilled and trained to the highest levels and make use of the best practices throughout any cleanroom construction project. As part of any project, they always always operate within local health & safety laws and will ensure the construction site kept safe and secure for any personnel in the area. Full documentation, risk assessment and method statements are created and issued prior to commencement of the construction project. 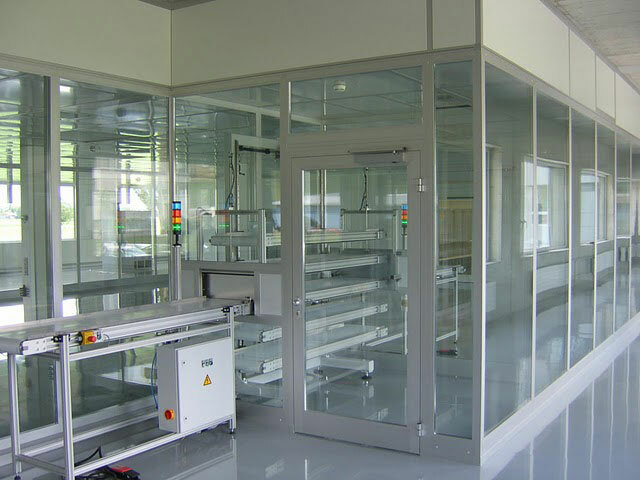 Fully glazed wall Cleanroom Construction with integrated bespoke materials in-feed solutions. 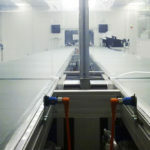 Pharmaceutical grade Cleanroom complete with integrated tool change lifting gantry system.